I tug my sleeves down over my wrists and look out at the hardened snow covering what’s meant to be the start of the trail. A weathered wooden sign peaks above the mounds of white: “Limber Pine Nature Trail – Loop 1.2 miles.” I stare down at my sneakers in the snow, then back at my lone car in the parking lot 20 yards away. The final few hours of daylight stream through the trees. Maybe I’ll come back tomorrow? A sharp wind whistles through the pines, inciting their slender tops to sway across the pale blue sky in an elegant yet eerie dance. The gusts remind me of tomorrow’s forecast: snow flurries and lower temperatures than today. I suppose none of this should be too surprising for the first week of May when you’re 7,800 feet up in northern Utah’s Bear River Range. My dog has already decided his attitude on the subject — he’s nipping at the compacted snow and appearing fully content as he starts rolling around in it. I zip up my sweater and double check that I grabbed my down jacket from the car — just in case — as I crunch onto the snowdrifts and enter the brisk shade of the forest. A quarter-mile into the hike, I’m relieved to find that the sunshine and 80-degree temperatures of the previous few days have worked their warmth through the dense forest, exposing a trail of rich earth and fallen pine needles for a spring hiker like myself. The initial section of gentle switchbacks is likewise just enough to warm my frosty fingers and toes. I stop and take in my surroundings. I’m in a world of green, brown and blue with splashes of white — wispy clouds slinking across the sky and bare aspens shooting up among the firs and pines. It’s all so doubtlessly characteristic of the Uinta-Wasatch-Cache National Forest’s high-altitude terrain. The Limber Pine Trail circles Bear Lake Summit, the highest point of Logan Canyon National Scenic Byway. Despite my concerns over weather, the main goal of the hike has yet to slip my mind: the large limber pine tree for which the trail is named. 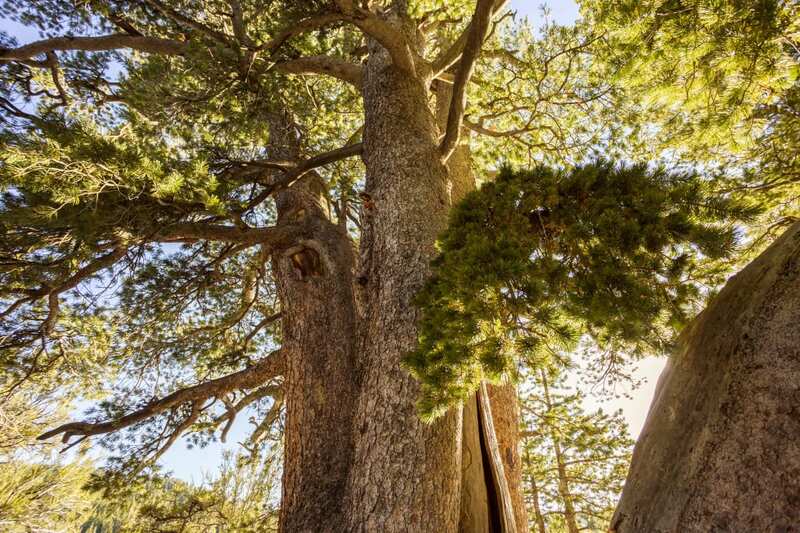 Once believed to be one of nature’s largest and oldest limber pines, scientists have since discovered that this giant is actually the result of five separate trees growing together for the past 560 years. 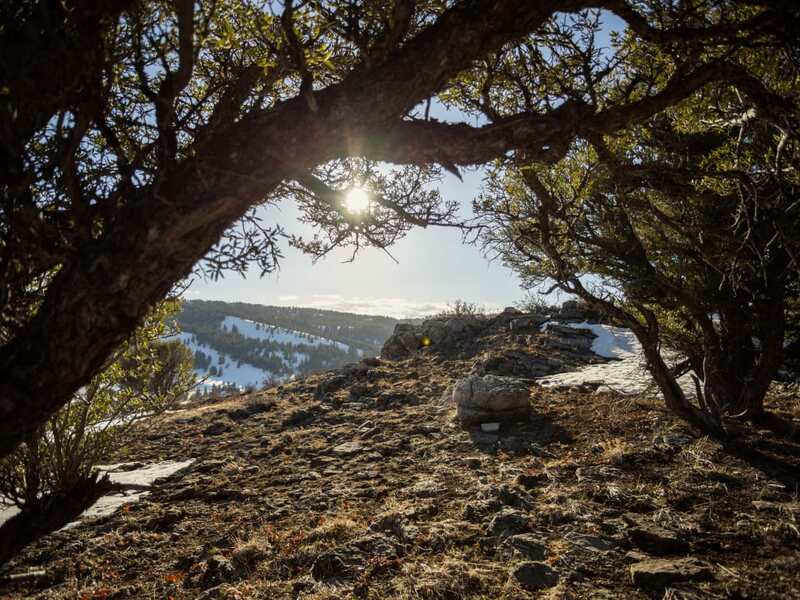 The limber pine tree that gives this trail its name is thought to be more than 500 years old. As I weave my way through the forest, trailside interpretive signs remind me to take my time enjoying the journey, making the hike a fun learning experience. Why do aspens sometimes grow in bent, nearly-broken looking shapes? How do dead trees provide for wildlife? What’s the connection between the aspens and the conifers? Each sign induces a smile across my face, as I learn something new, or I am reminded on those little details that I know and love about forests. I can imagine how fun it would be to watch children’s eyes grow wide as they learn about the forested world around them throughout the trail. About halfway through the hike, the giant limber pine makes its appearance. This unique tree — or rather, collection of trees — owes its impressive size and bizarre shape to the Clark’s nutcracker bird. Relying on limber pine seeds for food, the Clark’s nutcracker collects and buries seeds to consume later. When a bird doesn’t return to a seed, it has been planted and can grow into a new limber pine. The storing habits of the Clark’s nutcracker help explain how these several limber pine trees have grown nearly on top of one another in such a unique way. Leaving the massive limber pine behind, the trail starts descending back toward its starting point. Winding around the summit, the forest opens up into a lush valley of sagebrush, grassy meadows and the occasional Rocky Mountain juniper. During the summer months, wildflowers light up the trail’s meadows in a vibrant display of yellow and orange. Peeking above the trees, I catch my first glimpse of Bear Lake’s Caribbean blue waters enlivening the valley 2,000 feet below. Set against the mountains, the lake nearly strikes me as a mirage with its bright turquoise color and perfect stillness. Nearing the end of the trail, the final interpretive sign (there are 12 total along the trail) has a quote from John Muir: “The clearest way into the universe is through a forest wilderness.” I can’t help but think of the many times in my life that a walk into the forest has granted me clarity — of mind, of spirit and of nature itself. The trailhead is located just beyond mile marker 492 on Logan Canyon National Scenic Byway, shortly after the canyon’s summit but before Bear Lake (about 31 miles from the Logan Ranger District Visitor Center). 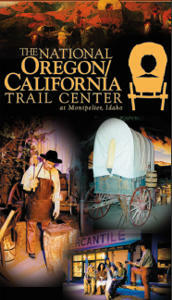 Trail Type: A smooth walking surface and a short, gentle uphill at the beginning. It’s suitable for kids of any age. Dogs Allowed: Yes, on leash at all times. Where to park: About 30 miles into the canyon near mile marker 492, you’ll find the parking lot on the south side of the road, just past the sign for Rich County. Written by Jenna Herzog for RootsRated Media in partnership with Utah Office of Tourism.